We started the morning with a presentation to the parents of our campers, who have been informed of the schedules and how we will work throughout the week. And after the parents we got down to the business of what we were there for, basketball. This is an international campus, In this edition we have children from Hong Kong, China, Italy, Japan, Russia, Czech Republic, Dominican Republic, Scotland and also from various parts of Spain: Galicia, Seville, Canarias, Madrid, Cáceres … All of the campers are ready and excited about the camp they are making good friends by communicating with each other in English. 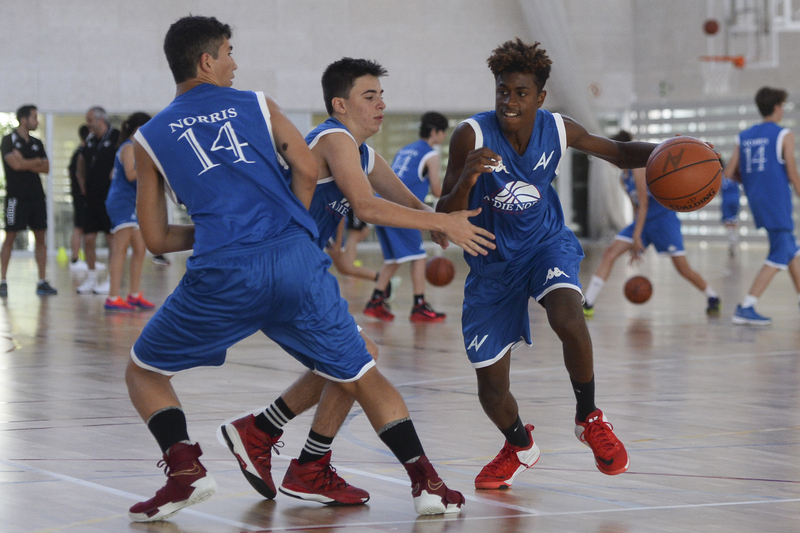 We have coaches with the highest level of coaching titles in Spain, who are part of the camp and have given the first brushstrokes of what will be a week of intense skills training. Our ‘campers’ are very excited and are eager to work very hard to improve technically. 2 – Consistency – work on your movements in each workout all the time, you have to do it even if you do not feel like it. 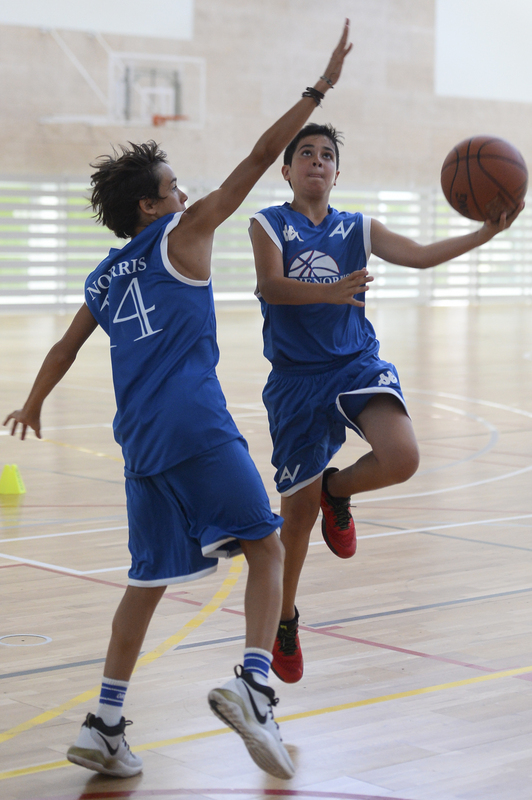 3 – Competitiveness – be competitive in all exercises, train at game speed. 5 – Commitment – commit yourself to learning and adding something new to your game each year. 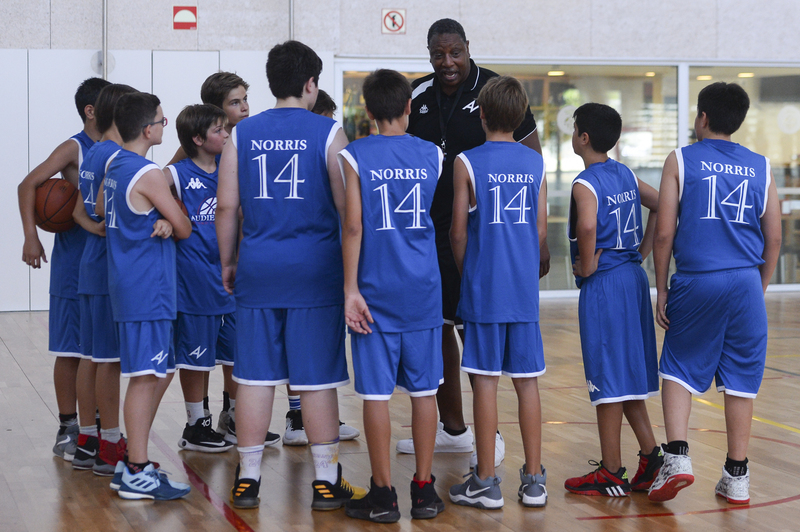 6 – Listen – you have to listen to your coaches and your teammates if you want to be a better player. 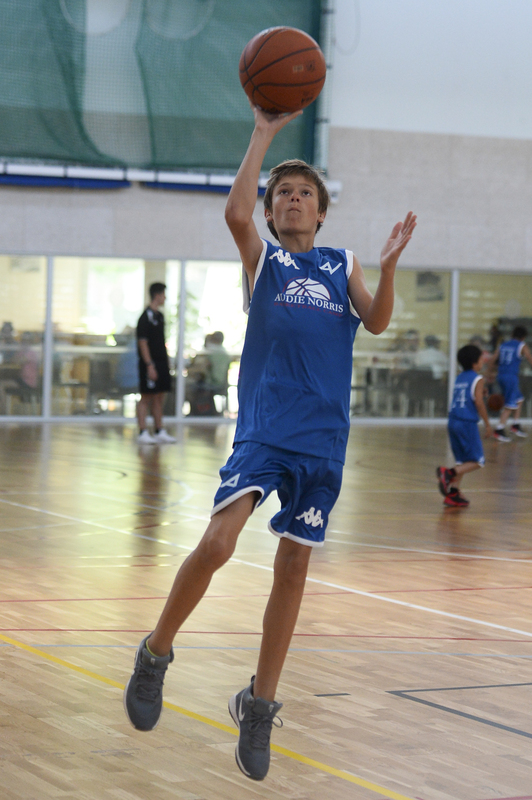 7 – Love – you have to love basketball and everything that it implies to be successful. Coach Norris also insisted that the campers work on their weaknesses be it the weak hand or the right hand, foot work and balance, play with contact, make good cuts, good and strong movements to basket with contact and with the a defender. Practicing game shots from game spots in a match, keeping a count of made and missed shots, and acquiring muscle memory of foot movement is as important for a post player as it is for a shooter. 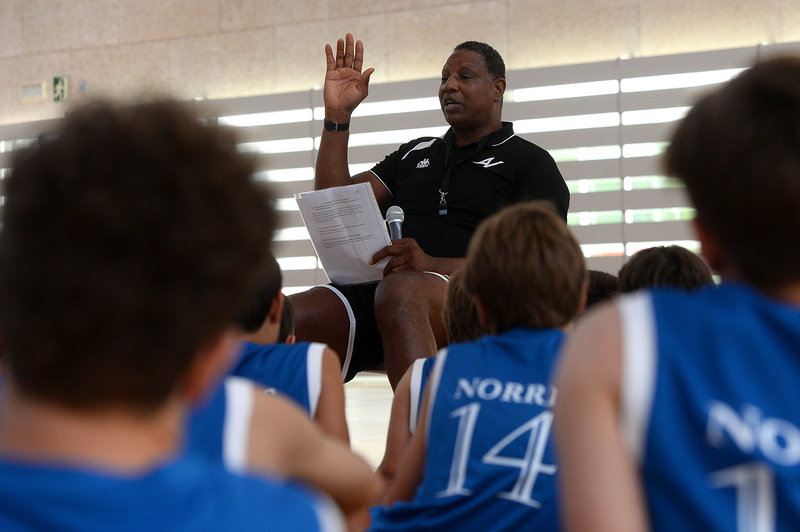 The Audie Norris Basketball Camp is not just about playing and practicing, we want our campers to experience all aspects of the game of basketball because let’s be realistic not everyone can be a Lebron James, Pau Gasol or Audie Norris but they can still be connected to the game by being a Referee, GM, Coach, Athletic Trainer, Sports Agent, Sports Psychologist, Journalist and a TV Sports Broadcaster just to name a few. We bring all of these personalities to our camp to speak to our campers to give them a new perspective on the areas of the game that maybe they have never considered, we want to open there minds to all the possibilities the basketball has to offer. Tomorrows guest speaker we will have the presence of Miguel Panadés, member of the Sports Area of ​​the Spanish Federation, who will be very interesting for our campers.